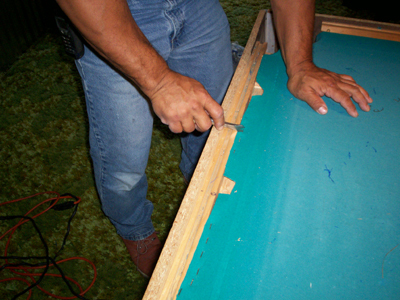 OK, now that you are done recovering the pool table cushions with felt, its time to start pulling staples again, and remove the old felt from the bed of the pool table. 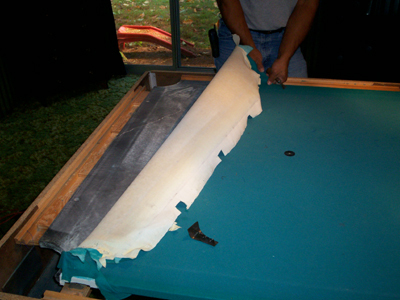 Pay attention to remove any pieces of felt that might be glued to the underside of the slate, as it might keep the new felt from sticking properly, and cause problems when recovering the bed of the pool table. 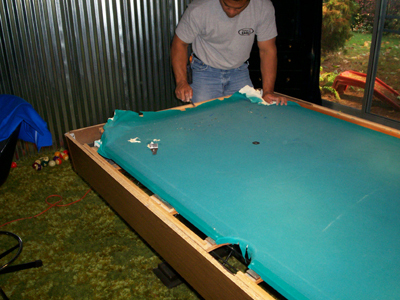 Keep in mind that this is YOUR table…keep it clean, be thorough, and pay attention to detail.